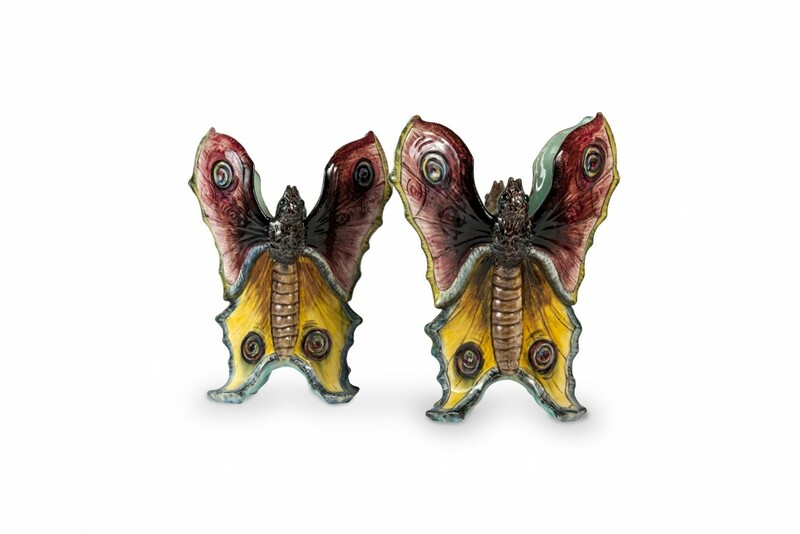 These two butterfly vases, initiated by Jérôme Massier fils, are treated on a biomorphic principle: imitating two butterflies, they are an ode to creativity. 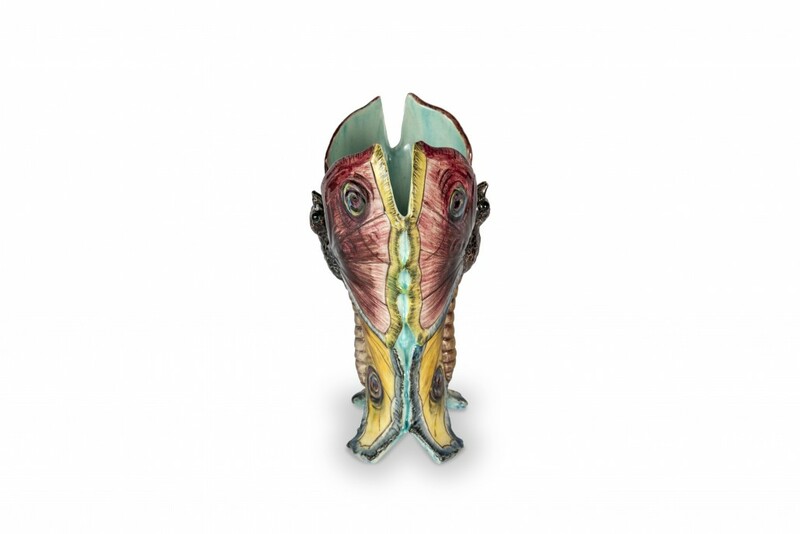 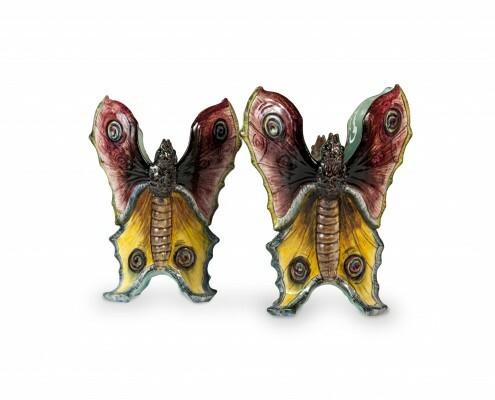 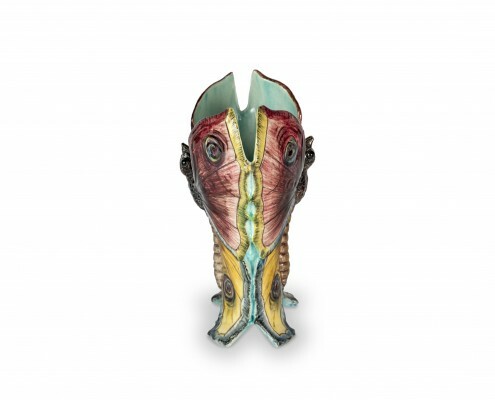 These two butterfly vases rest on four feet each, formed by the tapered bottom of the butterfly wings. 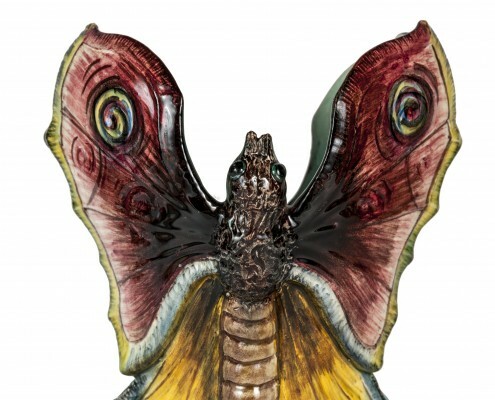 The wings are divided into two parts, delimited by a blue raised border. 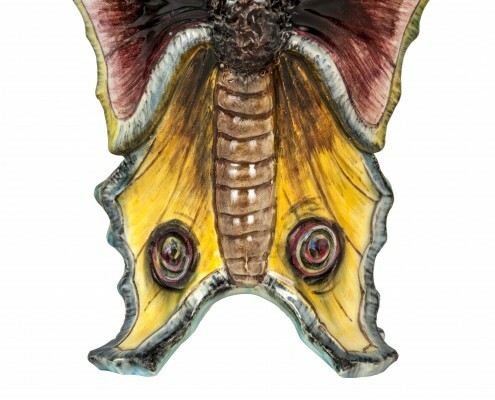 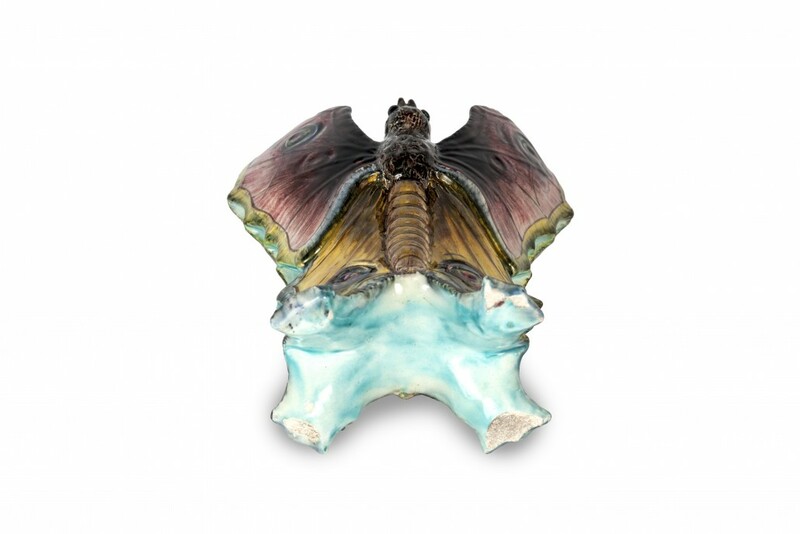 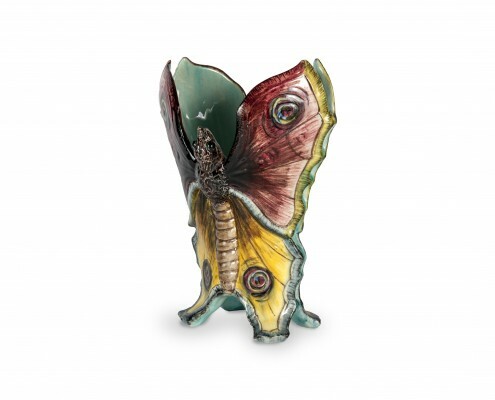 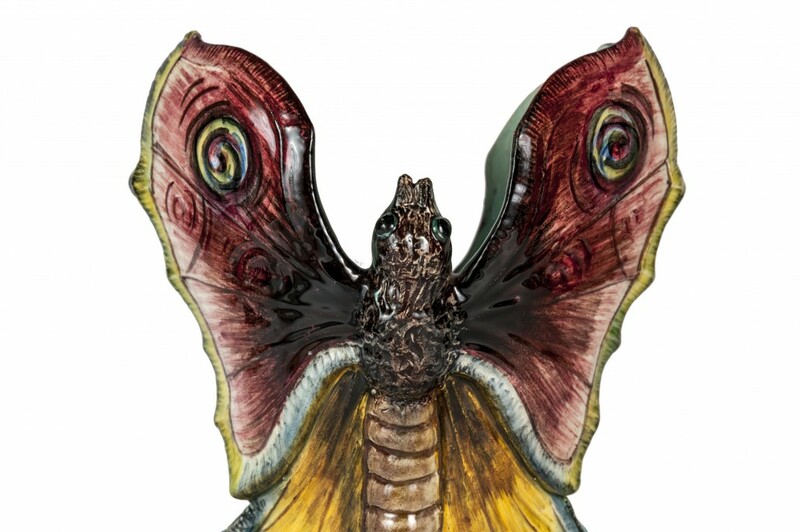 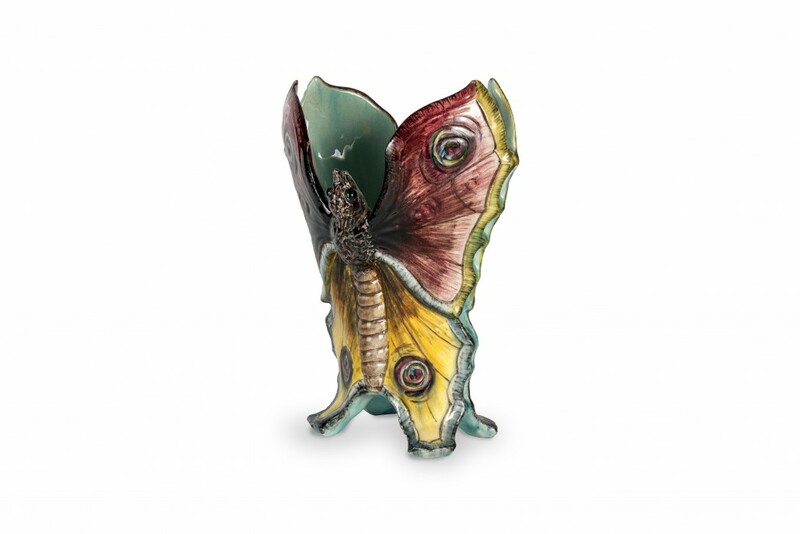 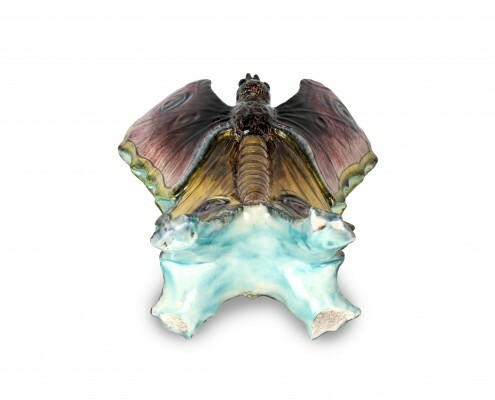 By the wide chromatic palette, Jérôme Massier revive the tradition of European majolica: the lower wings, painted yellow, begin a subtle darker gradation towards the centre while the upper wings are painted a slightly blurred red. 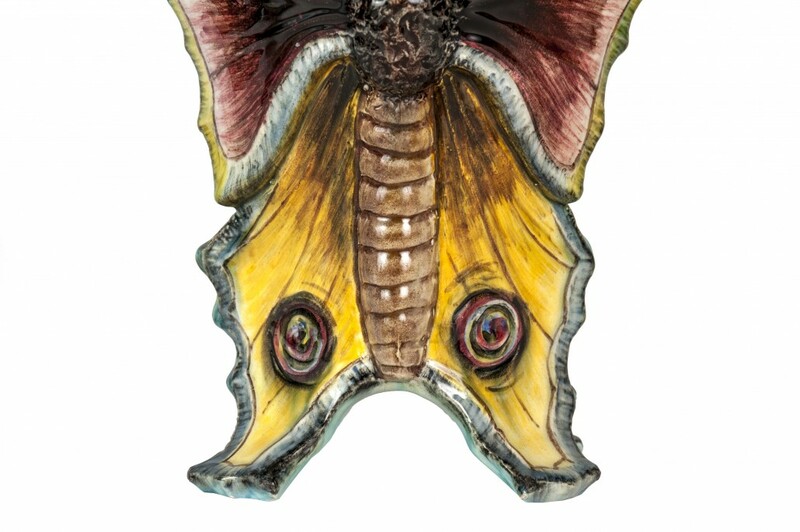 It should be noted that the background, for the interior, recalls the bright blue of the Minton factory. 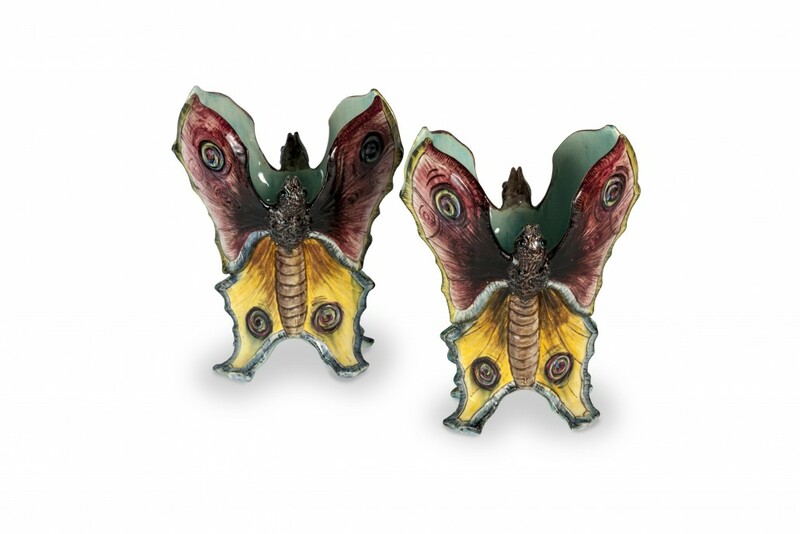 This pair of vases, by its elegance, perfectly illustrates the know-how of a dynasty committed to renewing the production of ceramics through its audacity and imagination.